Here we go! A 19 week (almost 20!) update for you! I seriously can't believe I'm almost halfway through this pregnancy. I'm so excited to meet our sweet baby girl in October! How I feel: I still feel pretty good other than random backaches, usually caused by if I stand for too long. I'm so thankful that this pregnancy has been good so far. I know for a lot of women, pregnancy can be super rough. I feel very blessed to have felt well pretty much this whole time. Food: Mmm.. Mexican food :). More specifically, chips, salsa & queso. That's basically all I want these days. Clearly other food sounds good too, but I've been on a big salsa kick lately. This baby is going to come out half Hispanic probably because of the amount of Mexican food I've had! 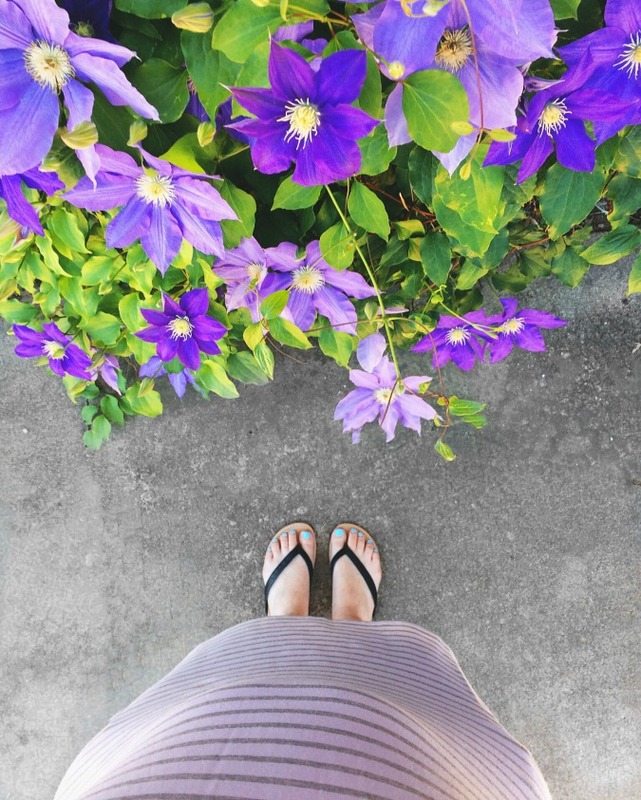 Clothing: Still no maternity clothes yet, but I should maybe think about it soon in the pants department. All my shirts are pretty flowy, so they still fit & dresses are my BFF. My bump is just now starting to become fairly obvious, at least to those who know I'm pregnant. Sleep: What is a good night's sleep?? I don't remember ha! It's really not terrible though (yet). I toss & turn & have bad leg cramps. Of course, I have to get up to go to the restroom throughout the night too. So basically, I'm considering buying one of those fancy pregnancy pillows to see if that helps me get comfy faster. 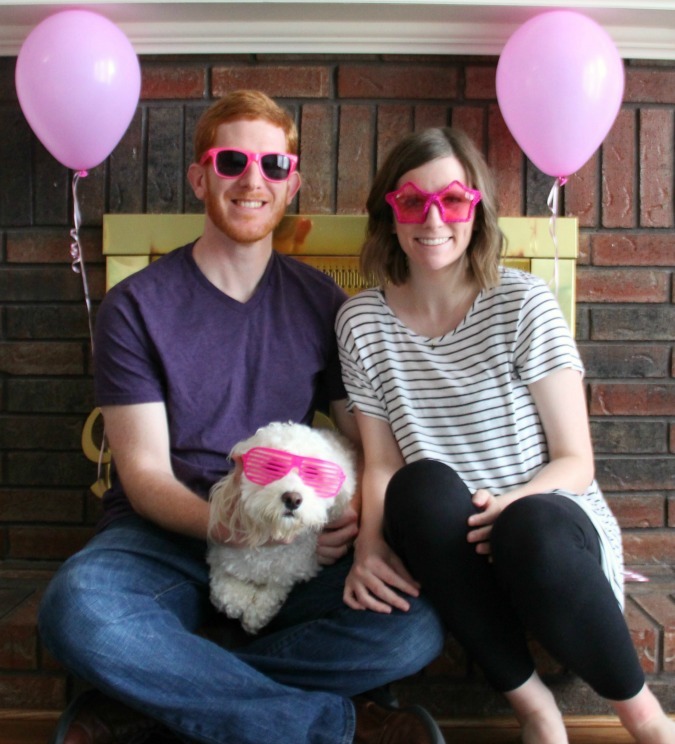 Best moment of the week: Well obviously, we found out we're having a GIRL last Friday :). So that was pretty great, but I can't get over feeling her move. It is literally the coolest part of pregnancy so far. She's definitely pretty active! We're starting to get to the point where if I lean my stomach on something for too long or push on my belly, she wiggles & pushes back. Not going to lie, I've done it on purpose a few times just so I can feel her move. Maybe that makes me a bad mom but oh well haha. 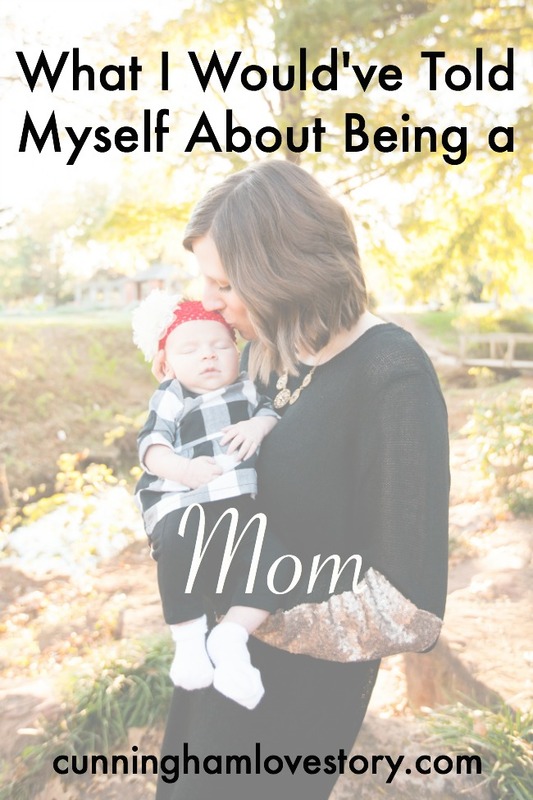 She probably kicks back at me to say, "Mom stop it. Leave me alone." I also came across this super cool pregnancy calculator this past week called pregnancycalculator.net. 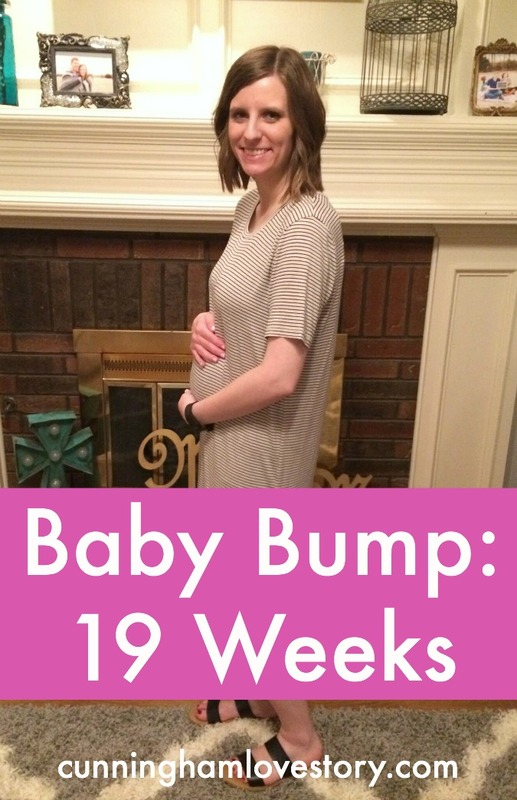 It tells you exactly what's happening with your baby week by week, what's going on with your body & even things to keep in mind for planning ahead for baby! I wish I would've seen this site sooner because when you put in the date of your last menstrual cycle, it calculates your due date & even tells you approximately when you'll be able to hear your baby's heartbeat & when you might feel your baby move for the first time.. Like it gives you specific dates! 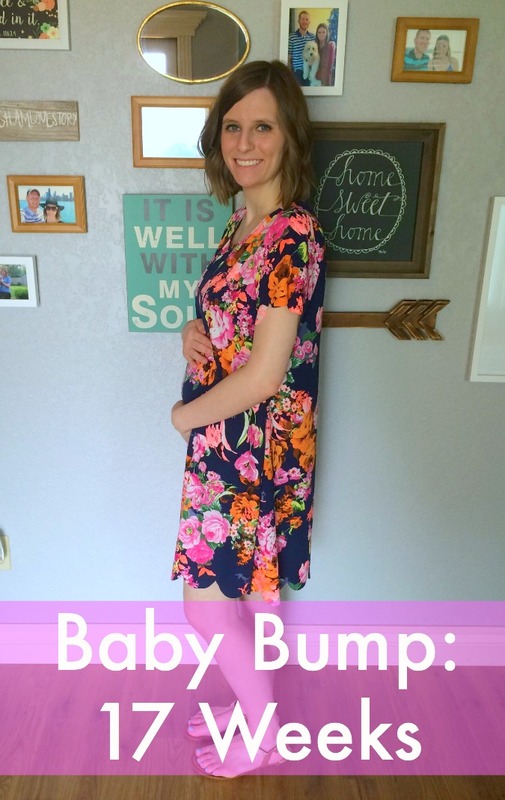 It is definitely something to check out if your pregnant. 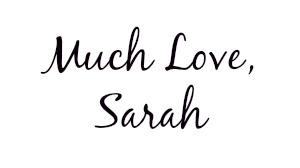 What I'm looking forward to: I'm looking forward to starting decorating her nursery! I can't wait for Andrew to put her crib up & a couple other things we already have for her. She's been getting a lot of presents from our friends and family so I'm also excited to start putting those in her nursery! Andrew & I have both felt so loved lately by our friends & family. I can't say it enough, but my mom has been a huge help to me. She's going to be an awesome grandma (Anyone have a cool name for her?!? She's pretty hip). Andrew also keeps me in line, making sure I don't over do anything. He also went & got me donuts the other morning when I told him I had a dream about them & they sounded good. That's true love right there. Happy wife = happy life. We went to our ultrasound on Friday to find out if Baby C is a boy or a girl. 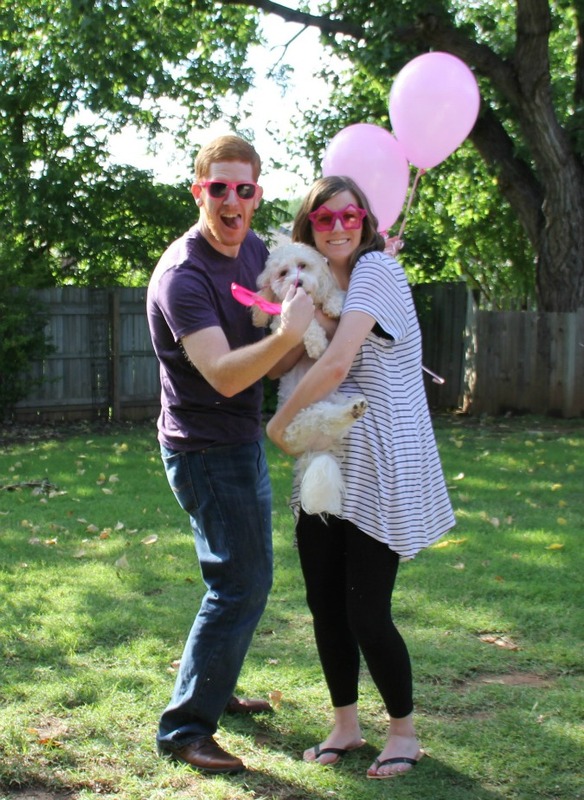 To my shock, we found out we're having a precious little baby girl! When the ultrasound tech said that it was a girl, the first thing I said was, "No, really?!?" Because I seriously thought she was a he! I have had multiple dreams that our baby is a boy & all of the "old wives tales" of not having morning sickness, carrying low, etc. all pointed to it being a boy. Well let me tell ya, I was wrong & those silly wives tales are all apparently a joke! Because those three little lines on the ultrasound prove otherwise. The ultrasound tech said, "Yep, definitely a girl." So I'm pretty confident now. Andrew had guessed opposite of me & clearly he was right. Either way, Baby C is a happy, healthy & very active little girl. I'm so excited to be the mom of a girl.. & Andrew is going to make the BEST girl-dad ever. We couldn't be more thrilled with the news! Surprisingly, I bought NOTHING this past weekend for her. I'm shocked really. I feel like I could've spent a million dollars on things for her, but I restrained myself. We're finished painting her nursery & we're currently finishing the bathroom that connects to her room. I'll be glad when we're done, because that means we can finally clean all of that area up & start putting our sweet girl's room together! In other exciting news, I felt her move for the first time on Andrew's birthday which makes it super cool. I look forward to all of her movements inside of me because I really do feel like we have this bond right now (obviously). But it's literally the coolest part of pregnancy by far. Also, I'm pretty sure she likes to chill out right on top of my bladder because even the ultrasound tech said that's where she was hanging out at. The Cunningham household is crazy excited for everything that's happening & going to happen! I think even Murphy is excited to meet our sweet girl! We are considering taking him to a puppy training class (which we never did), hoping that might help him adjust to Baby C better this October. He's not as crazy as he used to be, but he's definitely still full puppy (& a mama's boy).